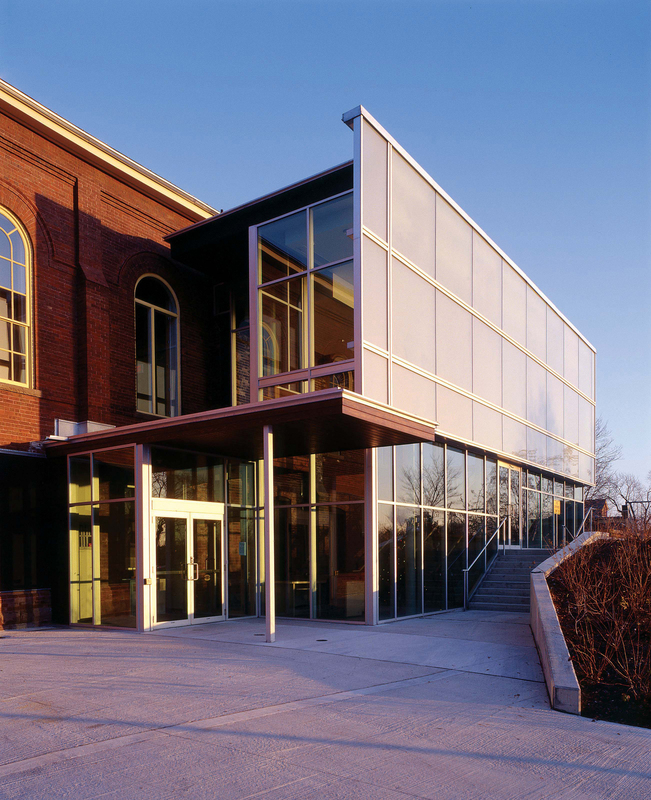 This project for Humber College involves the historic renovation of the 1898, heritage-listed, assembly building located on the grounds of the former Ontario Psychiatric Hospital. 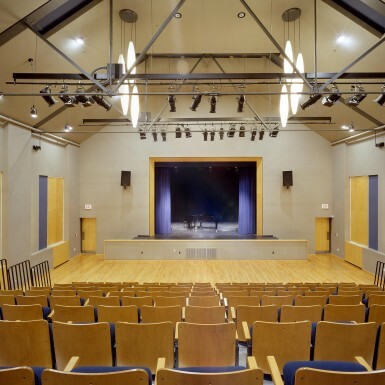 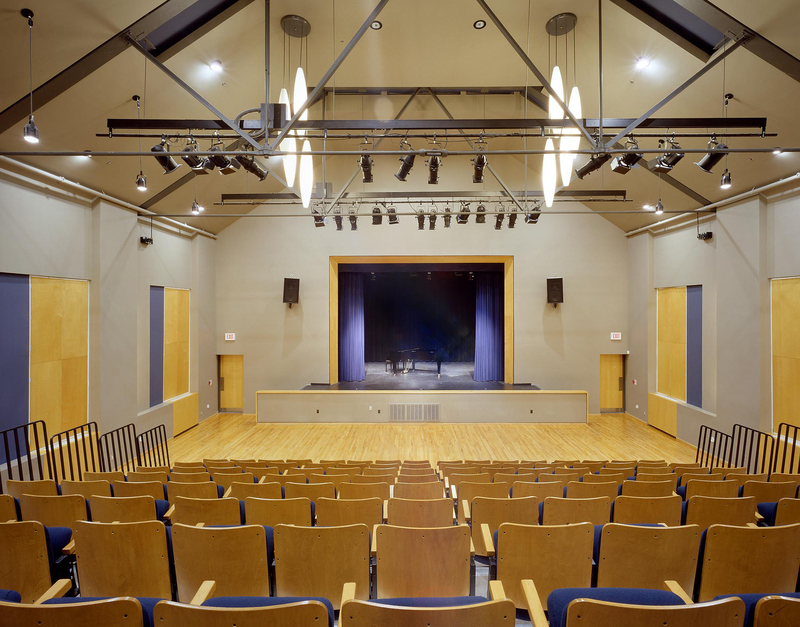 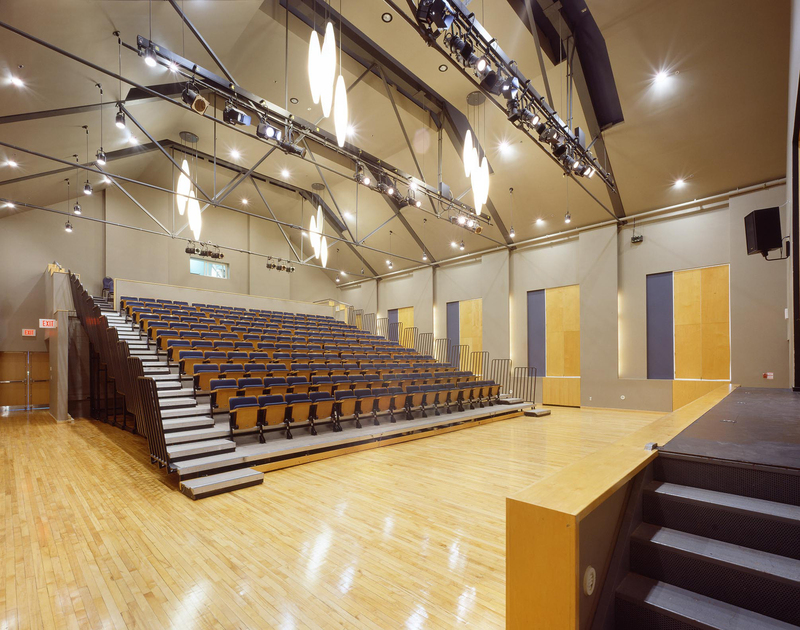 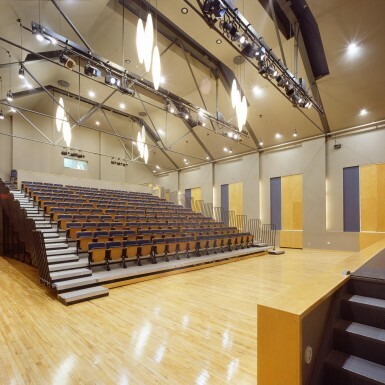 Architectural work included upgrading the building to accommodate new community arts rooms, a 250-seat community theatre, various support spaces and the redesign of the surrounding grounds and park lands. 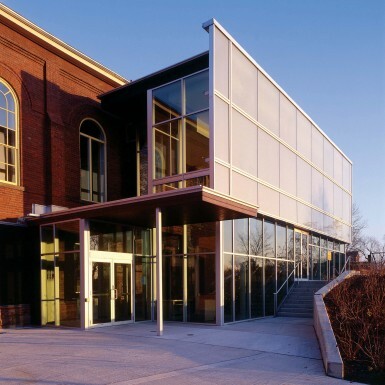 A complete restoration of the existing structure was required, including re-pointing of all brick work, restoring windows, interior renovations, new roofing, structural replacement, a new mechanical / electrical system, complete life safety system, new site works, and new building services. 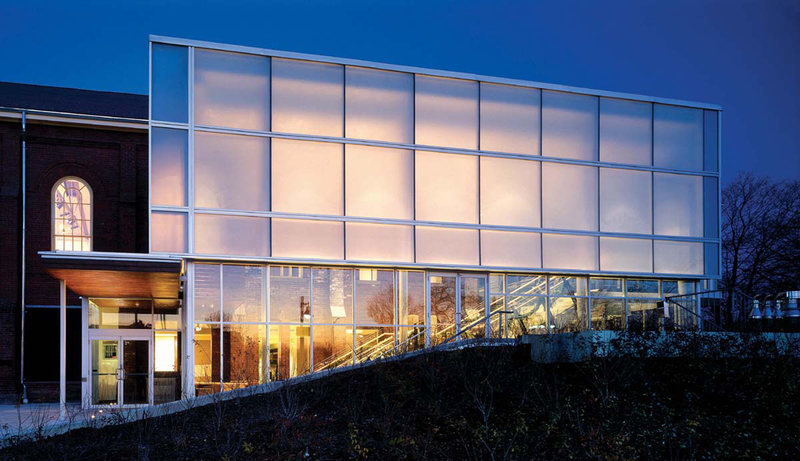 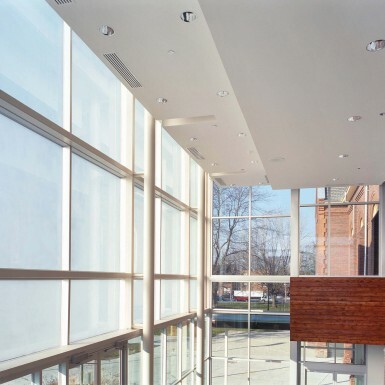 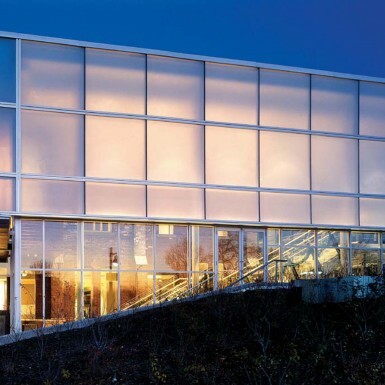 The focal point of the project was a transparent “light box”, which both accommodates a new public stairway to the second floor theatre and acts as a beacon for the important community activities that go on within.